December, with all of its holiday parties and family get-togethers, can be a nightmare for people who get nervous during social occasions. Many reach for liquid courage in the hopes alcohol will help them mix and mingle with more ease. Big mistake, a new study has found. Highly shy people not only didn’t feel less anxious when they drank but also experienced “a significant increase” in anxiety the day after, suffering through an especially edgy hangover known as “hangxiety,” British researchers noted. 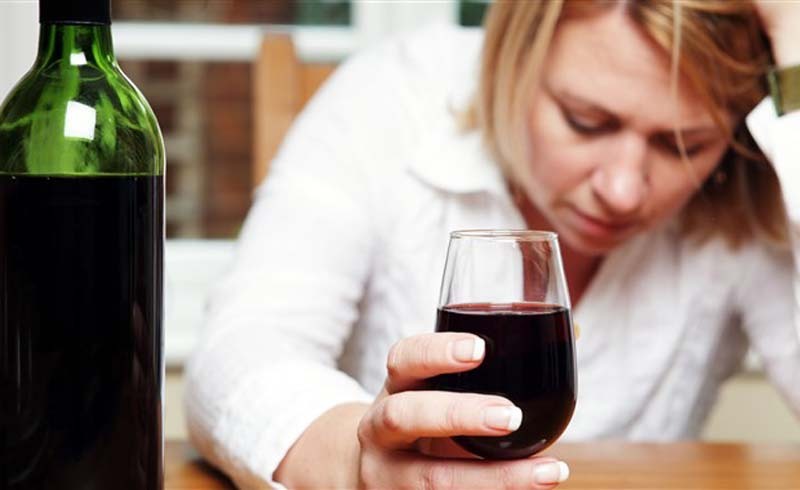 That may leave them tempted to seek alcohol again to self-medicate, potentially starting a vicious cycle. “If we reach for a drink every time we feel anxious, that is an unhealthy relationship with alcohol,” Ellen Hendriksen, a clinical psychologist and author of “How to Be Yourself: Quiet Your Inner Critic and Rise Above Social Anxiety,” told TODAY. She was not involved in the study. The paper focused on 97 people described as social drinkers. They first took tests to establish their baseline levels of shyness and anxiety, as well as detect any alcohol problems. Next, researchers observed the participants as they entertained friends at home. About half were instructed to drink as much as they wanted to while they socialized, while the other half were told to abstain from alcohol. Two hours into the party, each participant took a breathalyzer test and completed another questionnaire to measure his or her anxiety level. The parties then continued as before. The following morning, the participants’ anxiety levels were once again measured and researchers “debriefed” them about their experiences. It turned out the anxiety levels of people who drank didn’t change while they were under the influence, whether they were shy or not. Hendriksen was skeptical of this finding, noting it may have been different if anxiety levels were measured at the end of the evening when the alcohol really kicked in. A previous study found that for each drink consumed, social anxiety decreased by 4 percent two hours later, she said. Those who were highly shy experienced more anxiety during their hangovers the next day than others in the alcohol group, even though they drank about the same amount of booze. The people who stayed sober felt the least anxious the following morning, whether they were shy or not. The findings also suggest “hangxiety” is linked to signs of alcohol problems in highly-shy people, meaning they may have an increased risk of alcohol abuse, the researchers wrote. Trust that your anxiety will improve as the evening goes on, advised Hendriksen, who works at Boston University’s Center for Anxiety and Related Disorders. “The highest anxiety is before you walk through the door because you anticipate all the horrible things that your imagination tells us will happen — we’ll feel awkward, we’ll tell a joke that falls flat,” she said. Indeed, the highly-shy people in the study who were told to stay sober were the most anxious ahead of their parties. Start slow by doing a “drop in” — go to the party for a few minutes and then leave. Host a party yourself so that you’re surrounded by people you know and trust. Turn your attention inside out: Rather than focusing on your anxious brain, focus outward on people around you so that you’re curious about them and get to know them. “Focusing on the people at the party is going to be more productive in the long run than shutting ourselves off from people at the party with alcohol,” Hendriksen said.